As mentioned before, Kerry-Anne and I are away in Hermanus for the weekend, and so I'm writing this from our comfy room at Les Baleines guest house. While I doubt this piece of art (made from a car's differential) would fit with most people's decor, still it is pretty cool, don't you think? Posted in General and tagged art on Sunday, 23 June, 2013 by Paul. 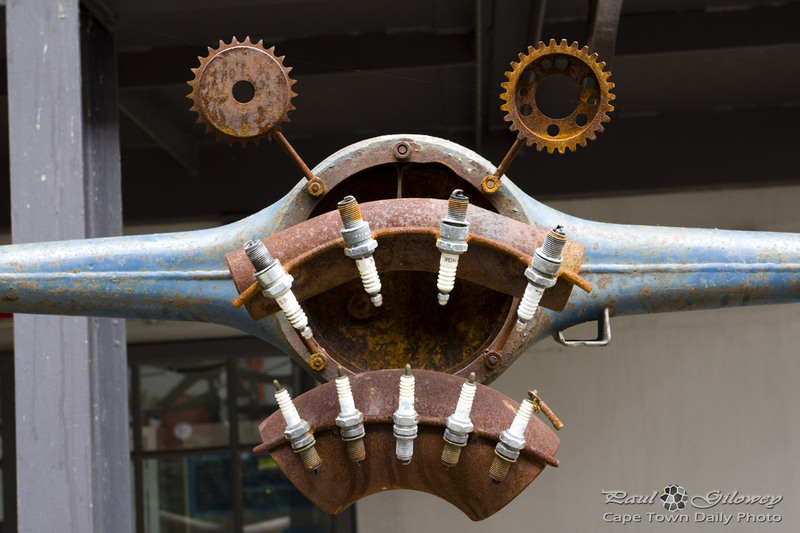 I don’t know what a car’s differential is, but I wouldn’t mind having this piece (the creature’s cute, whatever it is). I like sculptures made from rusty, scavenged metal.